Up to 1,000 to 1 Payout | Live Casino Hold'em | Win big! You’ll feel like you’ve stepped into a real casino in Vegas when you play Live Casino Hold’em with great graphics and sounds and rewarding wins! Good luck! 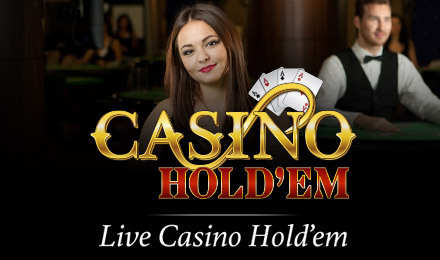 Login and play Live Casino Hold’em today! It’s similar to the ever popular Texas Hold’em, but with players competing against the dealer instead of against each other. There are incredible graphics and sounds that add to the real casino feel, so take your seat and get ready to have the best time! This Live Casino Hold’em game has a payout up to 1,000 to 1, plus an optional Bonus Bet and 97.84% RTP!